While the curtain has already closed for this years awards season in Hollywood, it is still underway for other areas of art and entertainment. 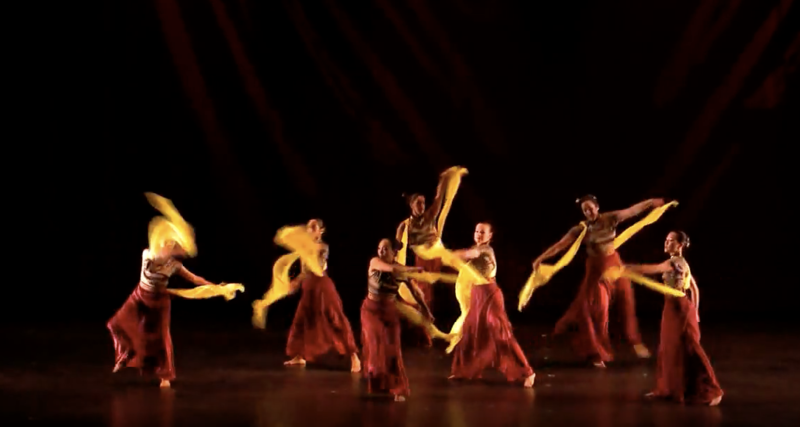 The 32nd Annual Isadora Duncan Dance Awards (a.k.a the Izzies), were held on March 26th to honor the movers and shakers in the local dance community. Held at the Brava Theater Center in San Francisco’s culture rich Mission District, this already colorful part of town shone even brighter during the awards ceremony. Known for its inclusiveness, this years honorees featured works that were trans-generational, trans-cultural and represented different genres. The awards which are voted on by a jury of their peers, recognize dance from the September 2016-August 2017 season. Behind the scenes awards went to the creative teams of Marc Bamuthi Joseph and Tommy Shepherd’s “/peh-LO-tah/” for music/sound/text; Brian Jones for visual design, Susan Roemer for costumes for “Wanderling” by Amy Seiwert’s Imagery. The special award honoree was bestowed upon Antoine Hunter for uniting the deaf community with the hearing world dance community by way of the Bay Area International Deaf Dance Festival. The Sustained Achievement Awards went to La Tania, renowned Flamenco Artist and teacher who just retired in 2017. And lighting designer Harry Ruebeck, whose credits include the Izzie-winning “The Great Liberation Upon Hearing,” and acclaimed photographer RJ Muna. For more information visit: http://www.izzies-sf.org.